Microsoft is offering a free month of Xbox Live to subscribers affected by the company's Xbox Live and Cloud Saved Games outage over the weekend. XBL general manager Alex Garden says the free one-month extension will be applied automatically to affected accounts, so there's no need to file a claim or otherwise contact support. During the outage, users unsuccessfully attempting to access Microsoft's Cloud Saved Games feature reported seeing the following cryptic error code: 0x807b0198. Some Xbox Live users were unable to access the service entirely while others had issues accessing certain apps or experienced other XBL irregularities. The precise cause of the outage remains unknown, but Microsoft said it has identified and resolved the underlying issue responsible for the unfortunate snafu. Garden also said the software maker will be running a thorough post-mortem to identify any other issues and hopefully prevent the possible reoccurrence of a similar issue. Interestingly, Microsoft sold 750,000 Xbox Live 360 consoles over Thanksgiving weekend -- a remarkable number for an otherwise aging console. Xbox Live itself celebrated its 10th anniversary in November. 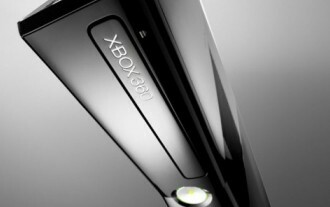 Word of an Xbox 720 has been grinding away in the rumor mill over the past couple of years, but the latest clues suggest the next-gen console could debut near the end of 2013. Xbox World also revealed that the Xbox 720 will come bundled with 8GB of system memory, a Blu-ray drive, Kinect 2.0 support and boast four cores with eight logical threads. At the time of this writing, all Xbox-related services appear to be operational at the Xbox Live Status page.